When I was ten, my family made a trip from Vermont to Arizona (as described in my post 1961: Trip to Arizona). Without a radio to listen to and only a limited number of comic books to read, I found myself spending hours staring at the changing scenery through the side window and pondering the fact that things near to me seemed to whiz by much faster than distant objects, which hardly seemed to move at all. A little over 1½ million years ago, when the continents of Earth had drifted to almost their present locations and the very first hominids (our oldest recognizable ancestors) had appeared, a group of bright stars called the Scorpius-Centaurus OB association, passed within 150 light-years of Earth. Although to us the sky appears to be the same night after night (with the exception of the locations of the Moon and planets), astronomers know this is not so. All the stars are moving relative to each other; and, like nearby cacti along the edge of the road on my trip, the closer ones appear to move faster than the more distant ones. Type O stars burn brightly and fast, like a candle with too high a wick. They only live to be a million years old or so before exploding in a supernova. The Scorpius-Centaurus OB association is presently about 400 light years away. Antares, one of the brightest stars in the northern sky, is a member of this association. So are most of the stars in the Southern Cross. Each time one of these stars explodes. it leaves an expanding tell-tale bubble of gas and debris. Knowing the speed of expansion, and measuring its present size, astronomers can determine how long ago that particular supernova occurred. That's how we know at least one particularly bright one lit the skies of Earth 1.8 million years ago. It's impossible for us to imagine the brilliance of this explosion. Not even a Cher farewell concert puts out so much light. Imagining the Sun filling the entire sky doesn't approach it. A supernova of this size is as bright as an entire galaxy of 200 billion normally-shining suns—at once. If the explosion occurred in the sky on the day side of Earth, its light would have so illuminated the atmosphere that the night side would be bright as day. 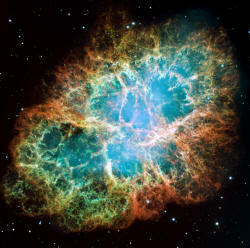 Supernovas can be visible from a week to over a year, as the explosion runs its course. Visible light is not the only gift to Earth from the explosion. Supernovas also produce huge quantities of gamma rays and radio waves. 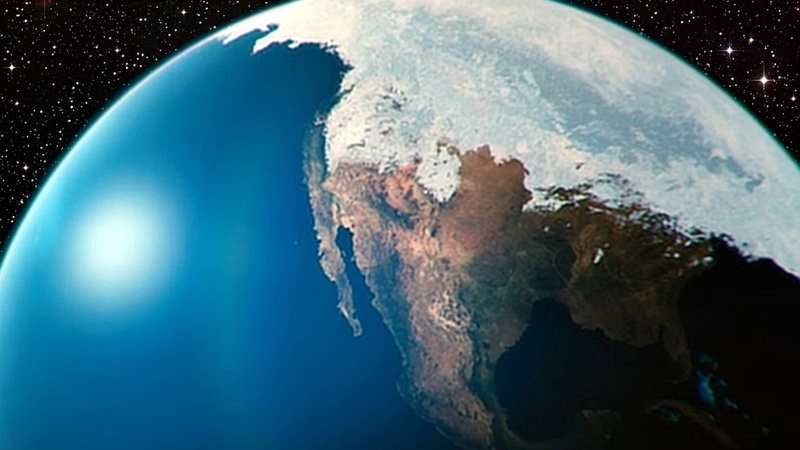 Gamma rays impact Earth's ozone layer. And with a breakdown of ozone, come higher levels of radiation from the Sun, as well as from the supernova. So picture those early hominids, blinded by an unending day, and subjected to radiations far more intense than they had ever experienced. Their hair would have fallen out, and tumors formed, and anyone unfortunate enough to be pregnant at the time would be lucky to give birth to a child free of birth defects. The same is true of other species as well, of course. Numerous species went extinct, including a large variety of marine mammals, possibly due to the warming of the oceans from all the light and radiation. Since geological periods are usually identified by the mass extinctions separating them, this one signaled the end of the Pliocene epoch and the beginning of the Pleistocene. That warming, combined with the new arrangement of continents upon the Earth, left Earth with an unusually pleasant climate, for those who survived to enjoy it. 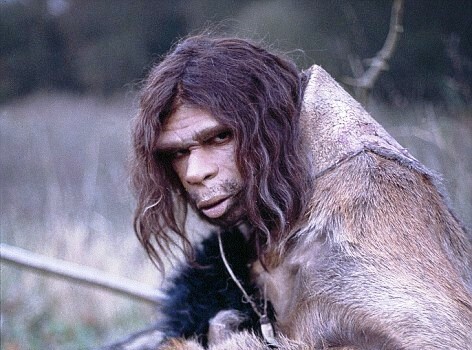 Hominids continued to proliferate and diversify; the famous Neanderthal men were among them, making their first recorded appearances about 350,000 years ago after diverging from our common ancestor some 700,000 years ago. But Neanderthals weren't alone; they shared their warm and pleasant Earth with several dozen other close relatives. But the Gulf Stream can only work with salt water. And after the post-Pliocene global warming, it wasn't salty enough. The Gulf Stream collapsed. Now with great swaths of landscape covered with ice, more of the Sun's heat was reflected back into space; cooling the Earth even further. The colder it got, the more ice formed; the more white ice lay stretched across thousands of miles of land, the less heat reached the Earth. An ice age was upon us, one that would become the normal state of affairs on Earth for the remainder of the Pleistocene epoch. With so much water locked into glaciers, there wasn't much left for rain. (Also, less water condensed in the cooler atmosphere.) So large areas that weren't covered with ice, shriveled into deserts. 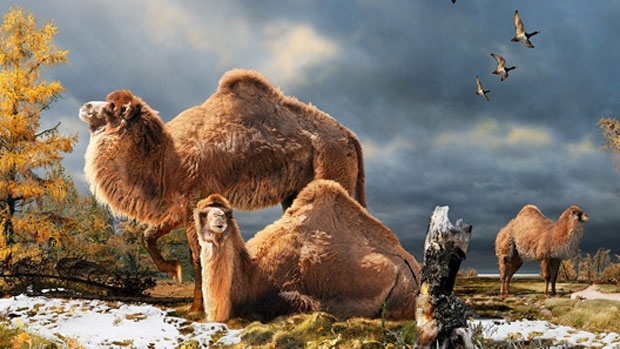 Life couldn't have been easy for the species that entered the Pleistocene; it never is when climate is changing. Only the pressures of a changing world induce a species to evolve to better fit the new conditions. Sometimes, the new subspecies that result still must share a lot of the same resources; and then inter-species pressures arise that either force further diversification, or cause one of the sub-species to suppress the other. Such may have happened when Homo Sapiens appeared on the scene some 130,000 years ago. Forced to compete with his cousins, it's not a surprise that superior tool-creator Homo Sapiens outperformed them. Still, that alone should not have brought about the extinctions of Homo Neanderthalensis and the others. But, given the ferocity with which so many humans kill others of their own kind who differ only slightly from themselves—by skin color, or clothing styles, or who they worship or prefer to marry—it would not be hard to believe that this trait was part of our genetic heritage, left over from when "inferior" meant an entirely separate, but competing, species; and when killing the "other" bequeathed a shopping advantage to the whole human race. When the glaciation reached a peak, so much water was locked into snow and ice that the oceans once again became salty. No one knows whether the halothermic circulation of the Gulf Stream needs to be "kick-started" by some additional event, or whether some simple threshold of salinity needs to be crossed; whichever it was, Earth began to warm again. We like to imagine Neanderthals rejoicing at the retreat of the glaciers, but by then they were specially adapted to the cold. (Their broad noses, for example, contained additional blood vessels that helped warm the air before it reached their lungs.) Fortunately for them, the melting of the glaciers bounced quickly to another brief period of warming, followed by yet another glaciation. During all this time, glacial runoff—when there were glaciers—fed rivers and lakes that either no longer exist, or are now just shadows of their former selves. One of these is known as Lake Agassiz, which stretched from Manitoba to Minnesota. Modern Lake Winnipeg, and a few other minor lakes in that area, are all that remain of this once monstrous body of water that was larger than all the Great Lakes combined. During the final big glaciation—and the bouncing back and forth might have gone on indefinitely, or until North America and Europe drifted too far apart for the Gulf Stream to work properly—Lake Agassiz broke through to the sea, probably through its current watershed, Hudson's Bay, and completely emptied in perhaps as little as a year. This huge flood gave the Midwest the shape it has today, including the Dakota Badlands. It also put another stop to the halothermic Gulf Stream, as trillions of tons of fresh water once again diluted the ocean. The resulting minor cold snap, called the Younger Dryas Event, did not cause glaciation and signaled the end of the ice ages of the Pleistocene and the beginning of the moderately-tempered modern era. 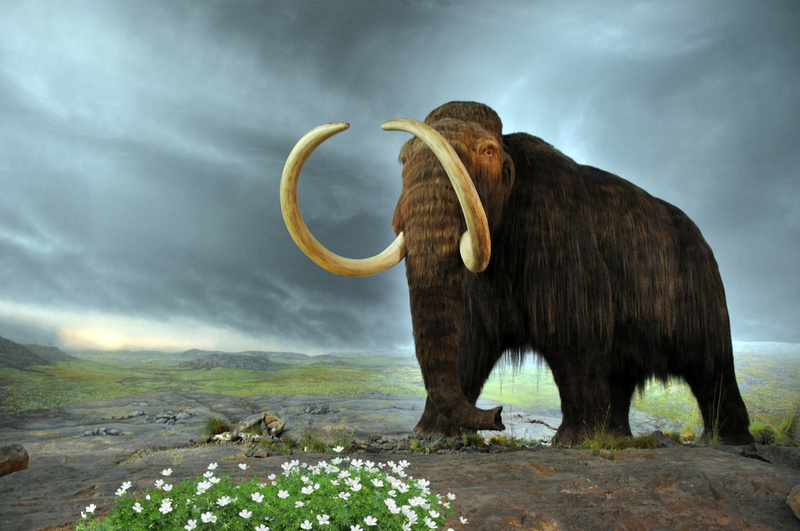 The Pleistocene lasted some 1,796,450 years; the modern Holocene epoch less than 12,000. We can't yet say that Earth's present climate is "normal"; Earth has been frozen far more than it's been balmy in the past two million years. We do know that an unusually large amount of time has passed without glaciation, since the final ones. But I believe our luck is about to end. Clearly, it doesn't take that much to trigger another ice age; and in the past, they've always been triggered by global warmings. Those who don't understand the domino effects of weather and climate, laugh because we're "supposed to be experiencing global warming" yet they had an extra cold winter. Or, they normally have very cold weather and are happy that this winter was relatively mild. They don't understand that Earth's climate is not just about them. It's a house of cards that shelters us humans only coincidentally; and when—not if—it comes crashing down, the changes will be extreme and sudden. We have only to look at the evidence of the past to see this. 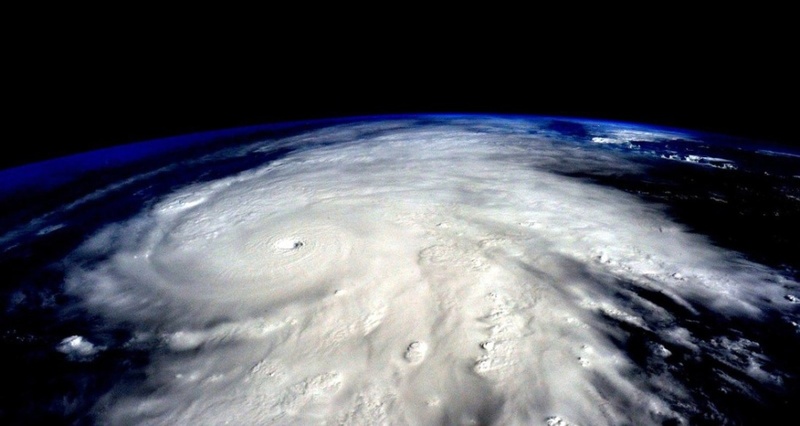 Consider it a "global warning." I hope we have enough sweaters. But if a new species of human appears who, like Homo Neanderthalensis is well-adapted to and comfortable in the cold, yet who has also inherited Homo Sapiens' need to kill anyone who is different—we may not have long to wear them.